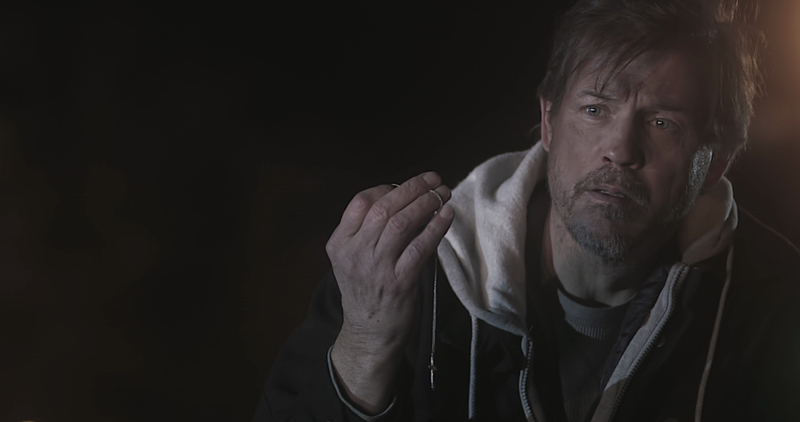 Michael Paré on Acting, Life, and His Role in "The Shelter"
Actor Michael Paré has been a steady fixture in Hollywood; check his filmography on imdb.com and you’ll find 124 acting credits stretching back to 1981. From an early role on television superhero show “The Greatest American Hero” (he played student Tony Villicana), to leading roles in Eddie and the Cruisers (1983) and The Philadelphia Experiment (1984), and everything in between (including smaller roles in recent films such as 2015’s Bone Tomahawk and 2016’s The Infiltrator), Paré has had a solid career in an industry that can frequently be quite fickle. 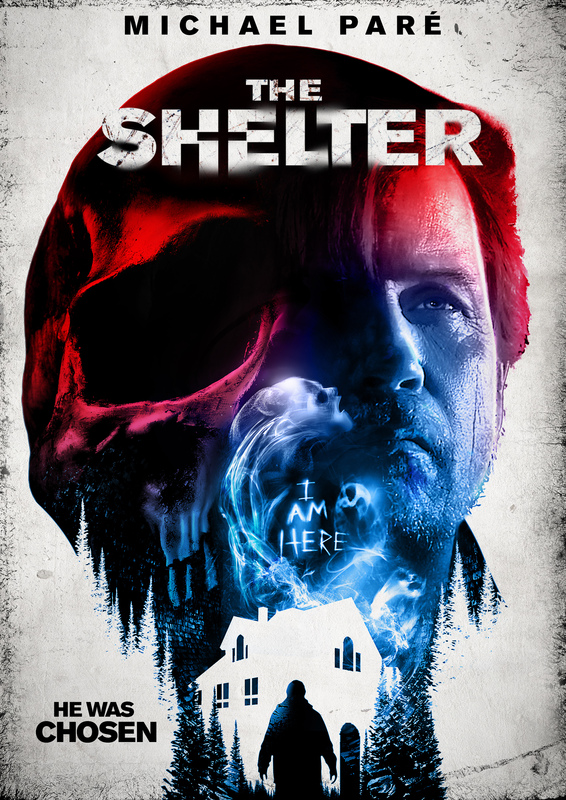 Paré is back as the lead in director John Fallon’s debut feature film, the indie horror The Shelter, playing the role of Thomas, a homeless man who appears to be aimlessly wandering through life. 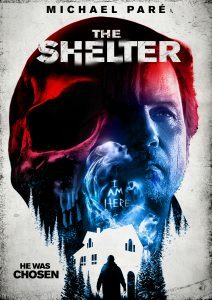 One night, he happens upon an unlocked house that seems very inviting but turns into a nightmare from which he seemingly cannot escape. In addition to films and television, Paré has appeared off-off-Broadway, as well as other theatre, and in commercials, and may appear in a repertory company version of the musical “Guys and Dolls.” “Everything is possible if you want to do it now,” he said when discussing the potential role. 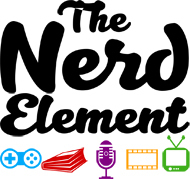 The Nerd Element: How did you get involved with the film? Michael Paré: Well, I’ve known John [Fallon] for a few years. I met him when we were shooting Eric Red’s movie [1996’s werewolf picture, Bad Moon]. Eric Red is a mutual friend, and when John is in town, Eric and John and I will have coffee and hang out and talk about the business, what’s new and what’s not. John told me about the project and I said, “That sounds interesting”; he gave me the script and I read it and I said, “Wow, this is really a unique project” because it’s very scary, but it’s not about monsters. It’s almost a psychological horror story. 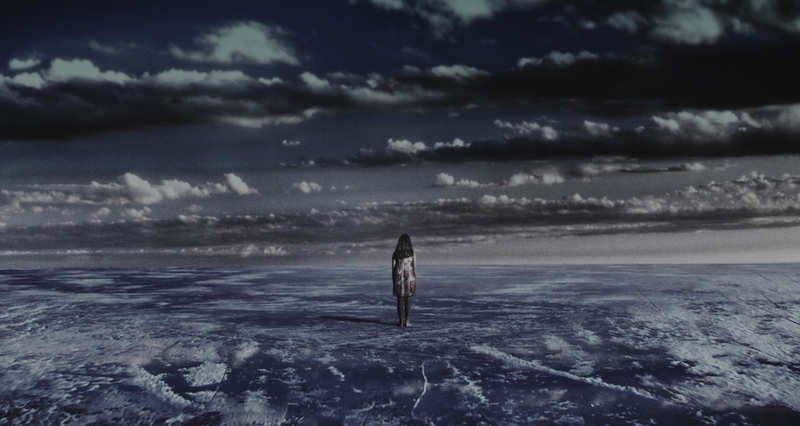 [Thomas’] damaged heart manifests in hallucinations, auditory and visual. I read the script a bunch of times…and I came up with this line: “The worst demons are of our own making.” Guilt, remorse, regret, not living up to duty or obligation causes all of these problems—obsession, sexual obsession, all of these [issues] bring on a certain kind of insanity, I think. TNE: I was going to ask you about that because of Thomas’ condition—he’s homeless, he’s drifting, he’s obviously got guilt, he’s drinking a lot—what was the toughest aspect to play of that character? This is a very damaged character. MP: You know, an actor has to kind of conjure the same emotional and psychological state as the character is in, and even if 90% of it is imagination, you still are going on that journey. The difference I think between theater and film is they come in for the close-up, and you gotta really experience those feelings, those emotions that the character is, that the script takes the character through. It’s kind of painful and if you’re not crafty and know how to get in and out, it can drive some people crazy. I could completely understand how some people say, “I gotta have a few drinks after that!” but then it ruins you for the next day. Making a movie is sometimes a sprint…and others it’s a marathon. But in this one it was a short schedule and there was no time for indulging. 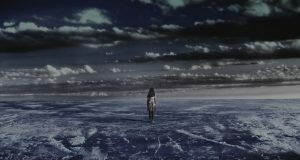 You had to really commit each moment to moment and then let it go at the end of the day. TNE: How long did it take to film? MP: I think it took 17 days. MP: Yeah, it is, it is. Luckily for me, he [Fallon] put together a fantastic crew…. They were all young and ambitious; they wanted to try new things and they had all the equipment they needed. It was really a magical experience. TNE: Given what we as learn about Thomas as the movie unfolds, do you think the audience should have sympathy for him? Because a lot of it [his issues] seems to be of his own making. MP: Exactly, that’s how I was playing him. You can have compassion for him without feeling sorry for him, to see a man’s weakness. He’s weak and selfish and self-indulgent and inconsiderate and irresponsible. I think a lot of people know people who have a few of those faults and weaknesses, so you can say, “Ahh!”—you understand, but you don’t have to forgive. [Some people] come from these terrible environments and they’re a product of parents who are junkies or who are in jail, and they’re raised in the streets…and of course they’re gonna grow up with a violent nature. But you can’t forgive them and still have taken that action. They could’ve chosen to do a hundred other different things. They fell prey to weakness. TNE: It kind of happens in the movie when Thomas walks around by the musical group and he gets brushed by that other person in the park. The guy reacts violently. MP: That’s John Fallon, by the way. TNE: His character reacts belligerently and your character reacts violently. That’s a place where Thomas could’ve chosen not to mug the guy, but it’s a lot of anger coming out in that one scene. MP: This is what he’s degenerated into. A random bump turns into an insult, and then I knock him out and rob him. It just escalates. If this is the life you’re leading, that’s a logical reaction. If someone is weak and disabled, you rob him. He’s [Thomas] not just full of self-pity and remorse, he’s also degenerated as a human being. It takes a lot of personal effort to become an evolved human being. Spiritual and psychological and intellectual evolution requires personal effort. Nobody can just give that to you, and if you don’t make that effort—you know, it’s that other thing, if you’re not moving forward, you can only stand still for so long before you start falling backwards. If you’re not trying to improve yourself as a human being, eventually you will start degenerating. TNE: You’ve been in a lot of genres—you’ve played a wide range of roles. I was curious what your favorite type of role to play is and what’s your favorite type of movie to make? MP: It starts with how well the script is written, and it really doesn’t matter on the genre. If it’s a well-written script and there’s a character in there for me to play, then it comes down to who’s going to be the storyteller, right? I’m going to be working with Brad Furman* again in the beginning of December—a couple of weeks actually. He’s this young, ambitious guy with a unique take where his characters are almost as important as his story. The story has to work, and then he makes it a more complex story by bringing in more complex characters. That’s exciting. I’m [also] playing a cop again. Crime is a standard for movies, but horror is great, and science fiction is a lot of fun, and I’ve been doing some family movies lately. MP: A Doggone Hollywood will be coming out just before Christmas or right after Christmas, and I did another called Nessie and Me . I’m working with these two goofy little sons—it’s kind of like the old Disney stories. In February, I’m going to do a gangster thing. It’s hard to sa what is my favorite. I can’t say, I can’t say. Each movie, I can have a lot of fun, like on John’s movie, and then go to another movie and it’s just pure work. TNE: I noticed on your Twitter description that you list yourself not just as an actor, but as a writer and a chef and a surfer. What kind of things do you write? MP: I wrote a cop thing. I wrote a little story about adolescent kids. TNE: Is it fiction or screenplays? MP: Screenplays. I have one in development now that is really cool. It’s called The Dukes of Okotoks. I just shot a thing for SyFy Channel and the producer up there [Canada] and I started talking about it. The basic premise is that among the American First Nation people up there, you don’t have to walk in your father’s moccasins, and it goes back to what we were talking about—if the person comes from a terrible environment, he’s most likely to end up in a life of crime. But there will be points in your life where you have that option to make that choice, and if you’re brave and you go with the unknown, which is the straight and narrow in this person’s situation, life can get better simply by you making that effort to go in the right direction. The reason that all these philosophers and religions and theologists will tell you it’s better to be a good, kind and compassionate person—it’s not to control you, it’s that those people are genuinely happy and more at peace and in synch with the world and the universe. Anger, violence, crime, assault—these are all in conflict, they come from conflict and conflict creates drama and makes you unhappy. We’re writing the story about that and we’re into the step outline; the first draft will be done just after the holidays. It’s one of those beautiful little stories that the choices people make lead to their happiness and peace, or their corruption and misery. MP: I studied her books and her techniques. I still study it. I still go to acting class. I go to the Actor’s Studio. It’s like anything else—if you’re a musician, you gotta practice. If you’re a painter, you gotta paint. When an actor’s not working, he’s got to go to class. TNE: Have you ever considered that you have a philosophy of acting, or it is this is your job or this is your passion or is it some combination of all of that? MP: It’s like with music and painting, there is a certain craft that you must master, and when you’ve done that, then you can take that next step, which is what James Cagney used to say: It becomes art when you take that step beyond craft. I think most of it is imagination, comprehension of the story, understanding character. There’s a great acting teacher I studied with called Harry Mastrogeorge, and his philosophy was very simple: It’s a children’s game played by adult rules. I like that. My own philosophy was whittled down to: You’re having an emotional reaction to imaginary circumstances. It’s got to be a genuine emotional commitment to imaginary circumstances. And it’s not that difficult to understand—when you’re watching a movie, it makes you cry, you’re imagining yourself being in that character. If it makes you angry or it confuses you, you’re having an emotional reaction to an imaginary circumstance, and an actor has to learn to do that on command and on demand. That’s where the craft comes in. You have to open your heart to these emotions. The gift of humans is that they have these emotional experiences. TNE: In your earlier career, you worked with some high-profile directors like Walter Hill [1984’s cult classic, Streets of Fire] and John Carpenter [1995’s Village of the Damned remake], and I was curious what the difference is back then when you were sort of new and working with these bigger names, and now you’re established and you’re working with some younger names, how has that transition has been? First you were a student, and now you can teach. MP: I think when I was young, I wasn’t as good an actor. I was young and I was raw, and I put my heart out there on the line for every moment because that was the one thing I knew, that I had to be in the moment and experience what the character experiences in the story, but now I think I’m much craftier. I hope I have evolved. I know I’m much more, I have more fun now. It’s still magical when you do something really good, but I know how to get there in a more consistent way. I think I was more working out of chaos when I was young, and now I’m working out of order and it’s much more dependable. I made a bunch of action movies thinking this is going to a studio and it didn’t go to a studio. I learned pretty much from experience. Now, I think Brad Furman is pretty brilliant, and I worked with Roland Emmerich [on 1990’s Moon 44] before he was Roland Emmerich, and he was a young independent guy, and John Fallon, if he’s careful and chooses his next project wisely, he could blow up quickly. TNE: Is there anything else that I haven’t asked you about your upcoming projects or The Shelter that you want our readers to know? TNE: Well, you say that, but it’s Hollywood—they can make a sequel of anything. MP: We’ll go back in time or he goes to another dimension. I got a couple of really cool projects. I got the one with Brad Furman, and a science fiction one that’s shooting in Roswell, and in January I’m probably going to do A Doggone Mystery, and in February I’m going to do a really cool one called The Neighborhood, with just an incredible cast. TNE: What was the film you said you had on the Syfy Channel? MP: It’s called Global Meltdown. We just shot it a couple of months ago—I guess like a month ago in Alberta. It’s beautiful up there. I don’t know how long it will take to get on the air. It’s from CineTel. I think I’m in five movies for them. TNE: Do you enjoy going back and working with the same people? MP: I work with the same people a lot because we get along and they see—I’m not a guy who makes it difficult. When I say I’m going to do it, I show up and I give a performance that can be molded and I can be directed. I show up with something. I think it’s hard for a director when an actor shows up and says, “What do you want me to do with this?” It’s easier to mold something that already exists.